We are very pleased to have launched our new elite women’s cycling team, title sponsored by RGB Building Supplies, this weekend at Bike Chain Bissoe in Cornwall. We had a busy a morning setting up, photoshooting and getting to know some of our fantastic sponsors. Our kit sponsors (and all around collaborators) Scimitar Sports brought down all our leisure wear and kit bags so the girls had a great time trying everything on! After welcoming our VIP guests it was soon time for our formal team presentation which was followed up with a Q+A session with the riders. We got some great questions from the audience! Scimitar livestreamed our team presentation on Facebook. The evening wrapped up with Rollapaluza roller racing with lots of friendly competition and cheering. In the women’s finals the spectators made bets on who would win, with the proceeds going towards funding the Bike Chain Ricci youth academy. Following the team launch on Friday 7th April we look forward to sharing further news of our new team in action. Subscribe to our newsletter for updates, competitions and invites to events. Cycle Engage UK’s elite women’s cycling project Team RGB Building Supplies is very pleased to be racing in the Tour Series. The national series of city centre events are one of the pinnacles of the British cycling competitive calendar and is an annual spectacle with rounds held in major cities across the country. Drawing huge crowds and televised to a national audience the fast paced and technical racing is an exciting and adrenaline packed experience for spectators and competitors alike. Team RGB Building Supplies' elite women will be lining up alongside a select group of the nation’s top cycling teams to battle for position in each of the 8 rounds of the Tour Series events. With world class UCI registered teams such as Team WNT Pro Cycling and Drops Cycling Team also taking to the start, our riders will be challenging some of the very best cyclists in the UK. We will be launching our elite women’s cycling team at Bike Chain Bissoe on the 7th April 2017 and we’d like to invite you to come! As part of our community initiatives to improve and promote participation in cycling, we’ve created an elite women’s cycling team. We’ll be revealing all the team’s sponsors, riders and race calendar at the launch on Friday the 7th of April, and it’s open to everyone to attend. The event is graciously hosted by one of our sponsors, Bike Chain Ricci at their Bissoe cycle cafe. We’ll have food, drink, local coffee, alcohol, and some great company. In keeping with our team ethos and desire to get more “bums on seats” the evening is open to the public and families are especially welcome. We’ve got prizes for the roller racing and think it’ll be a great night for all. Please do come along and find out what we’re about! Once the riders, staff and sponsors are all introduced there will be an informal Q+A session for guests to get to know more about the rider’s aims, objectives and views on all things #womenscycling. To get the party started (and running all evening!) there will be Rollapaluza roller racing. With adult and child bikes, everyone can take part in short 30 second races and challenge mums, dads, friends and enemies! 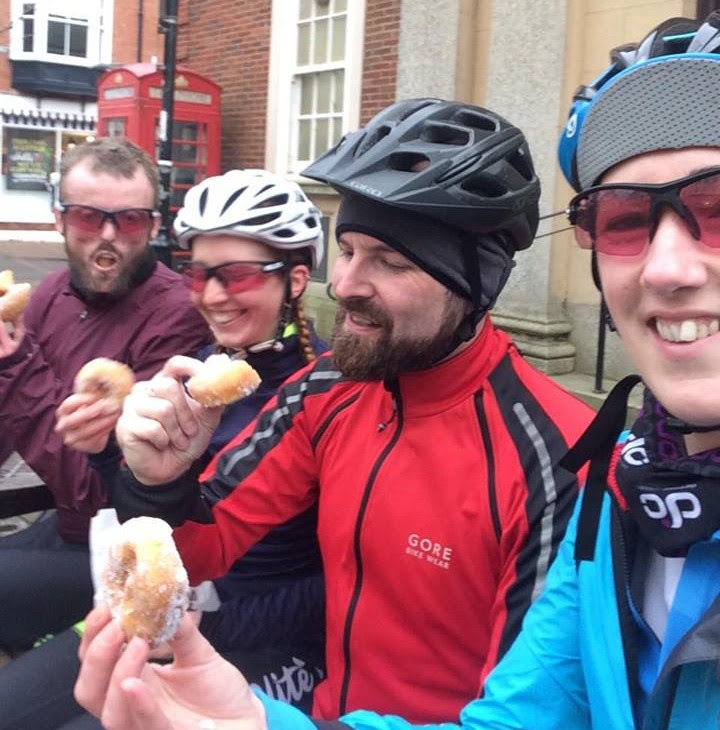 7pm – Rollapaluza and party time! This weekend the team met up in London to take part in a social ride with one of our great sponsors Boa Closure System. Alice and Susan join Marcel from Boa. Marcel was fresh back from a week in Majorca with Boa Closure System supported Movistar Team but he seemed happy to go at our pace! Boa Closure System make the dials found on nearly all performance cycling shoes. Cycle Engage UK are very grateful to Boa for supplying the team with custom dials in 2017 helping us personalise our team issue Bontrager Meraj shoes. 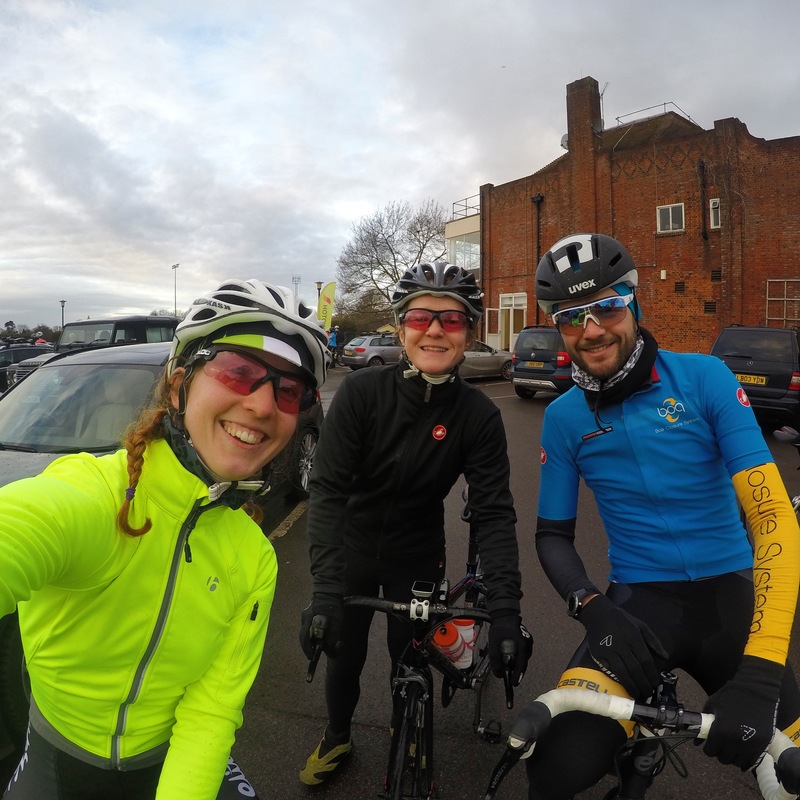 The well organised Hot Chillee ride was a perfect opportunity to meet lots of fellow cyclists all whilst getting in some solid winter miles. Susan and Alice make the most of a short stop to refuel and get an all important selfie. Our next group ride is on Saturday 12th February in Cornwall, hosted by Bike Chain Ricci. 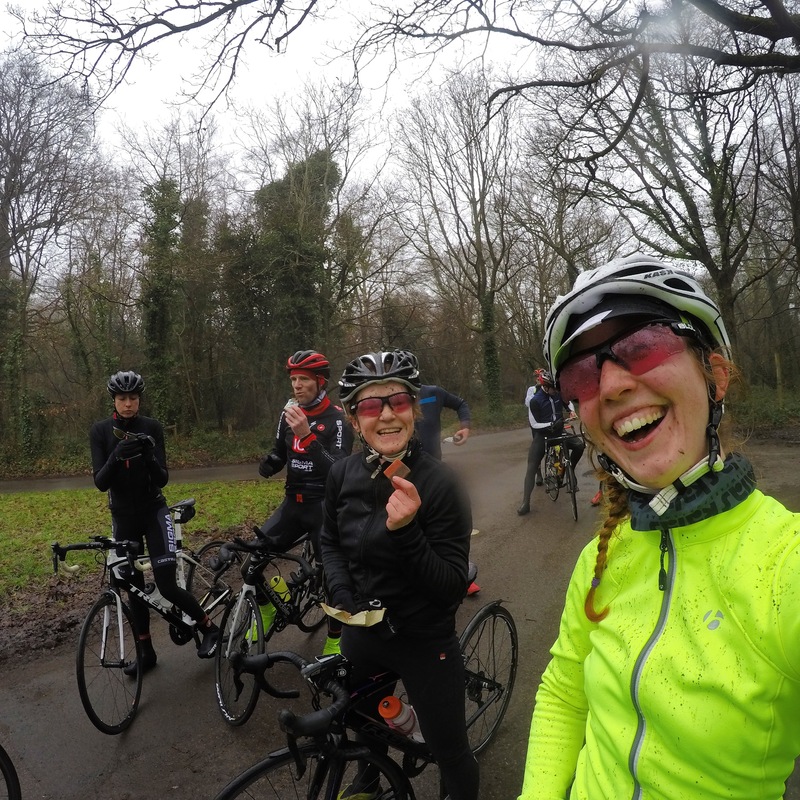 Power is nothing without stability.We've had a great couple of days fitting the Cycle Engage UK women's team…. Hope to see you tonight to meet the cycle engage team and eat cake. This weekend the team met up in Exeter for the first time to start to get to know each other and get involved in plans for the season ahead. The day started out at local independent bakery and cafe The Exploding Bakery where we fuelled up on warm beverages and made our first introductions. 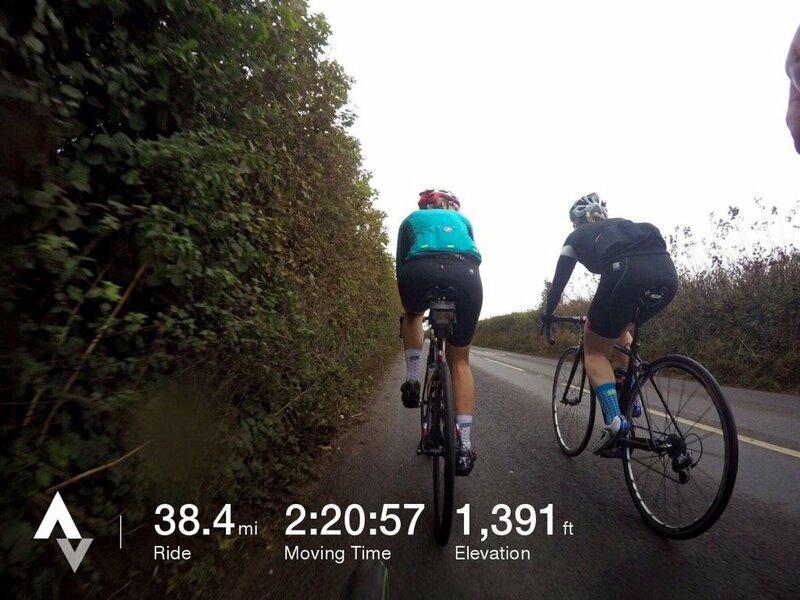 We carried on getting to know each other as we followed one of Tom and Alice’s favourite training routes through Devon. This was a chance for everyone to learn a little more about each other and also get used to riding with each other. 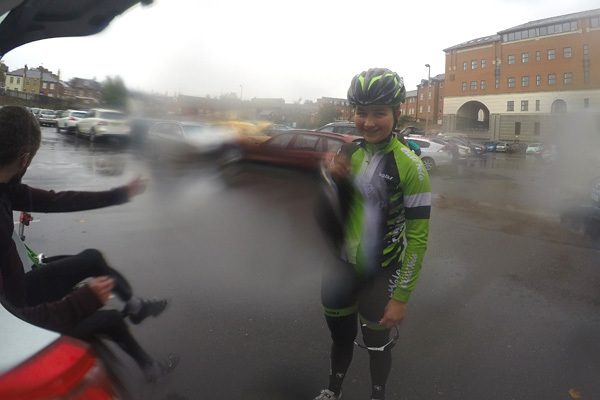 Unfortunately the good weather didn’t hold and we were like drowned rats by the time we arrived back in Exeter! 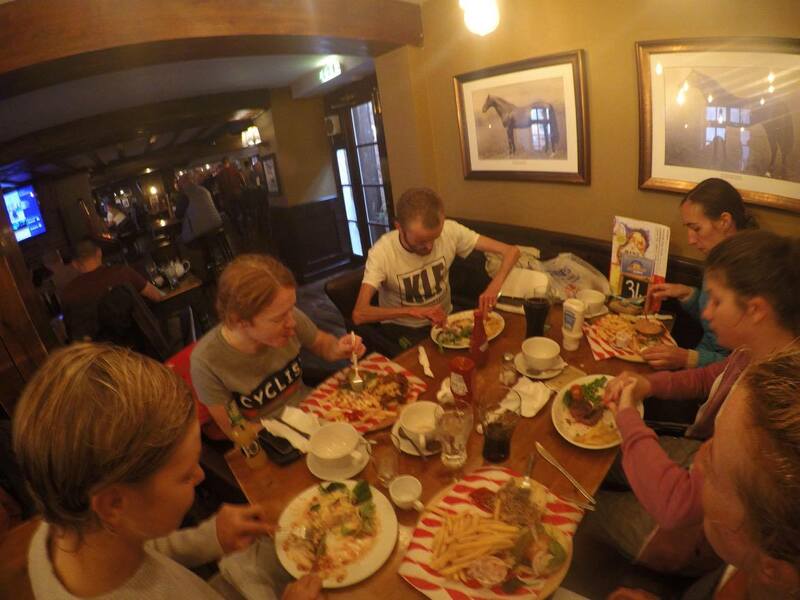 Luckily the nearby pub was warm and cosy and once we were into dry clothes it was time to tuck into a hearty meal and discuss the future of the team. We’ve announced our full rider line-up over on Neutral Service but we’ll be making proper introductions to each member of the team over the next few months. We’ll also be releasing updates on our title sponsors, a preview of our stylish kit and a run down on the equipment we’ll be using so stay tuned!